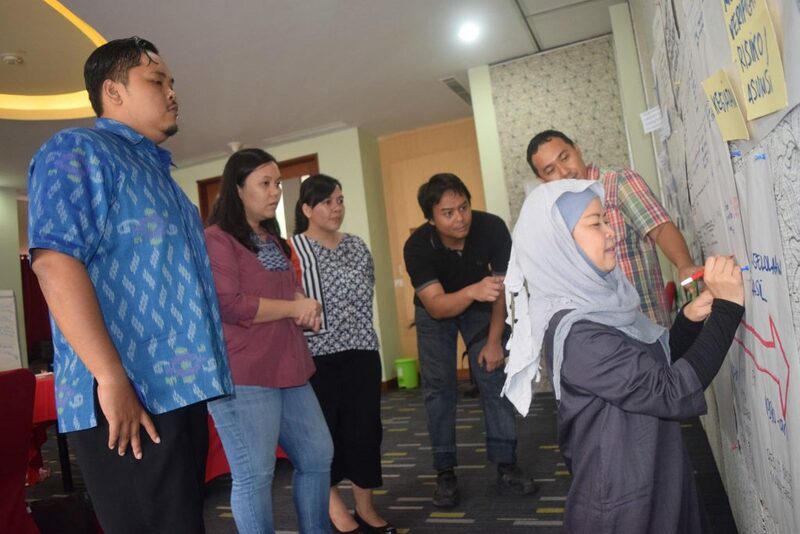 Since 10 years ago CIRCLE Indonesia has been focusing on the issues of human resource development to support civil society empowerment and development. Various types of training have been held either annually on a regular basis to the public. 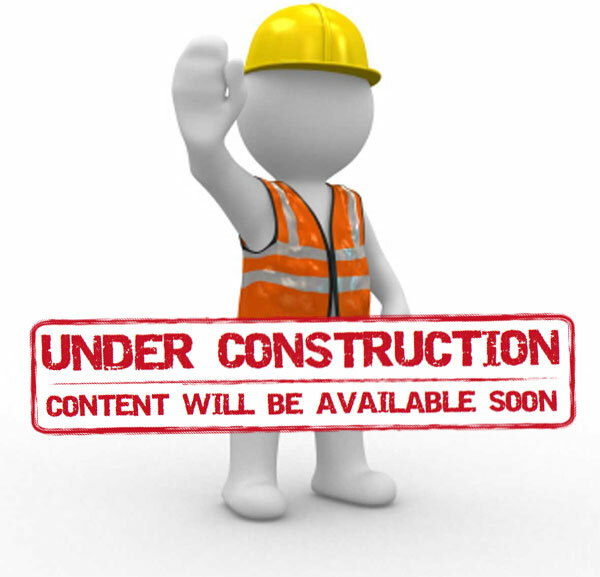 Tailored made training have also been provided based on specific requests from clients. 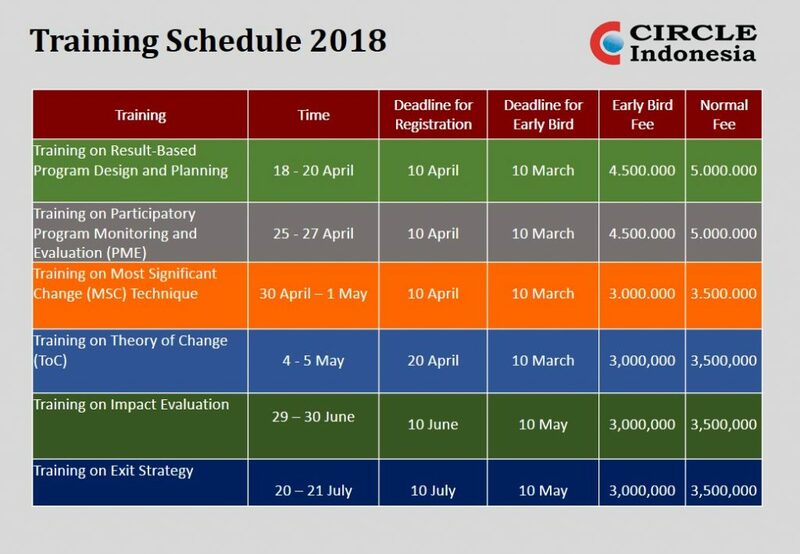 With the increasing interest among social development workers in the training held by CIRCLE Indonesia, CIRCLE Indonesia has developed a calendar of training activities for 2017. The training will be facilitated by reliable facilitators and resource persons with extensive experience in social development and have worked and /or have had the experience as program manager, team leader or consultant for national and international NGOs for more than 10 years. 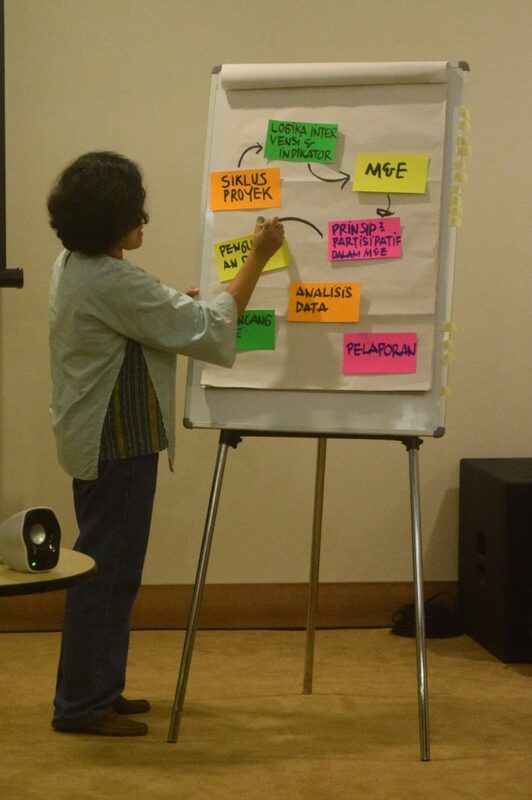 Training will be conducted using adult learning and participatory methods. 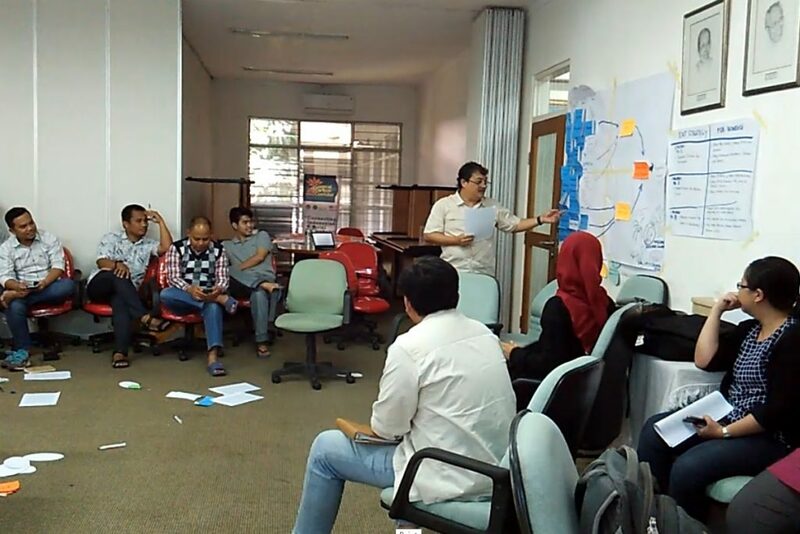 In addition to the knowledge and experience of facilitators and resource persons, participants will be facilitated to share and exchange their experience so that the overall training could become a pool of knowledge and experience from everyone involved. The training will use a variety of teaching methods such as lectures, group discussions, simulations, case studies, role playing and games.